Chalk Paint® Sample Pots....GLORIOUS Sample Pots (120 mL of paint...meaning 4.22 ounces). 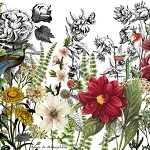 Annie Sloan's French Linen is a incredible color. It is a taupey-grey...BUT more taupe! To me it rivals a piece from Pottery Barn. It is a timeless & classic color. 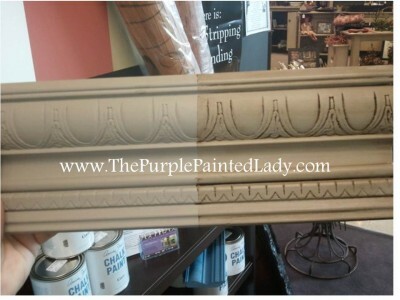 Again - it is a taupe with a bit of grey to it compared to a similar Chalk Paint® color, Coco. Coco is more brown. 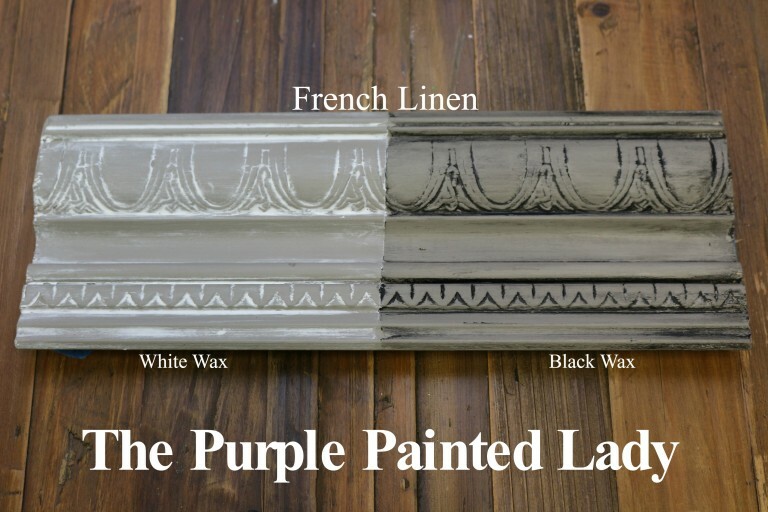 For kitchen cabinets - depending on your counter tops - I love painting French Linen on the base and Old White on the upper cabinets! 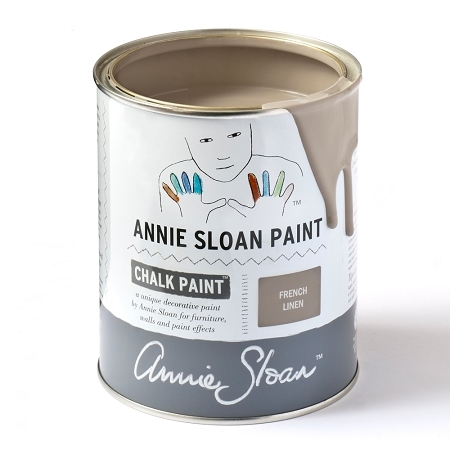 According to Annie Sloan herself, "A cool neutral inspired by the colour of aged natural linen. This khaki grey works beautifully with golds and a range of rich and bright colours such as Emile and Emperor's Silk."